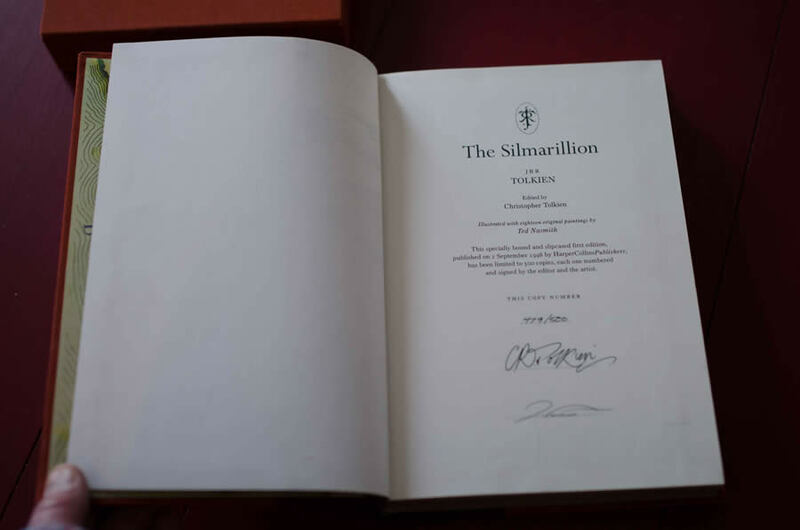 Specially bound and splipcased, signed by Christopher Tolkien and artist Ted Nasmith. 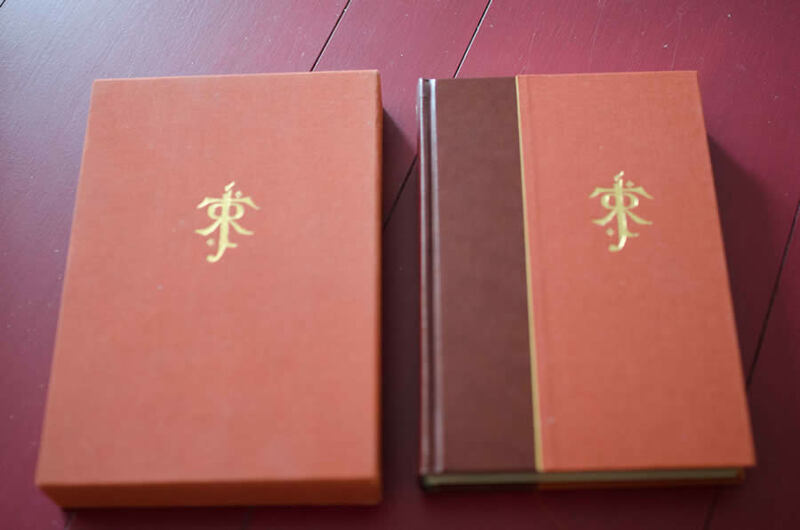 Limited to 500 copies only. 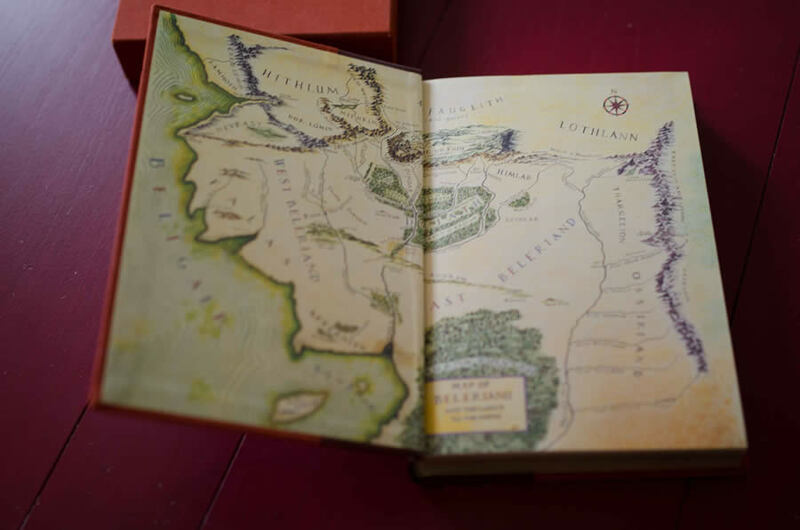 This specially bound and slipcased first edition, published on 2 September 1998 by Harper Collins Publishers, has been limited to 500 copies, each one numbered and signed by the editor, Christopher Tolkien, and the artist, Ted Nasmith. 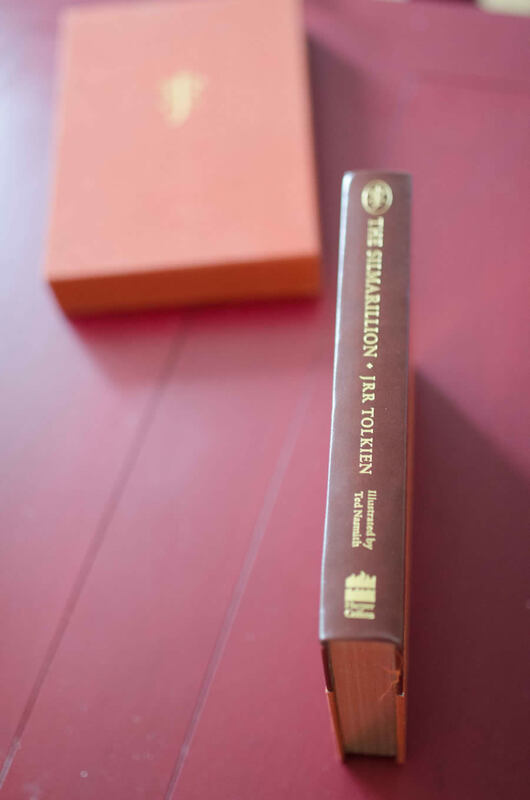 Limitation Number 479 of 500. 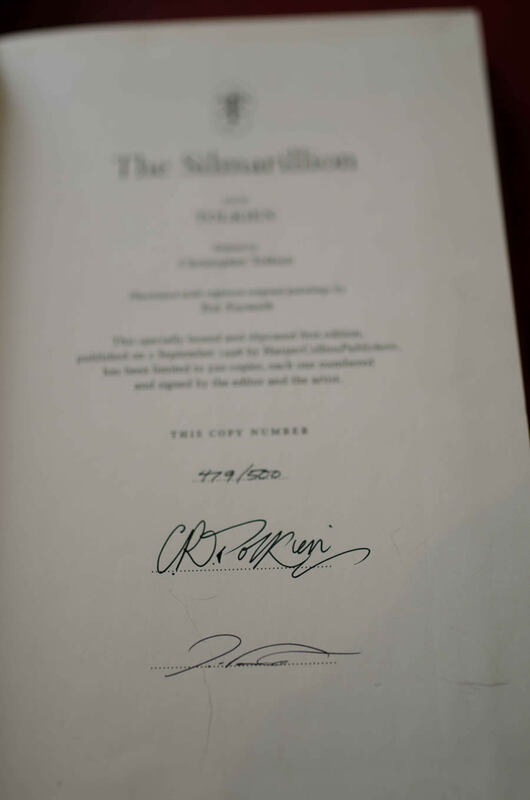 This copy has only been opened to look at the signatures once, so it's in mint condition. 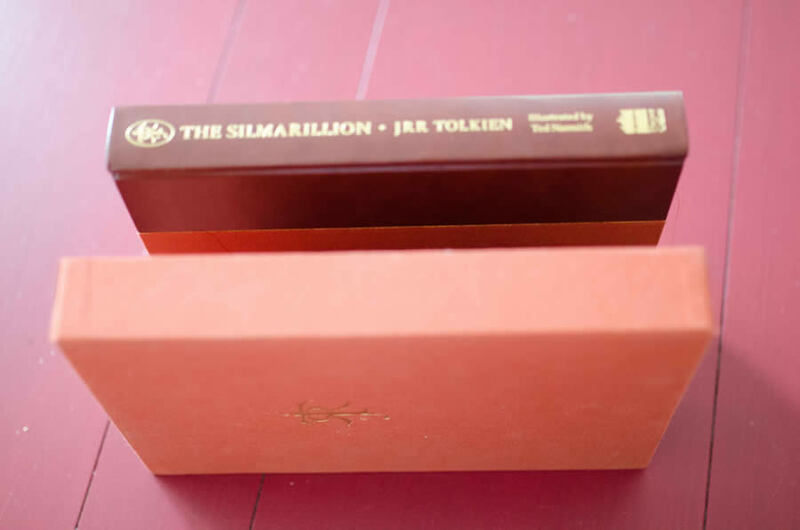 Quarter leather and cloth bound in rich rust color with gilt titles, Tolkien monogram on book and matching rust color cloth slipcase, gilded page edges, ribbon marker. 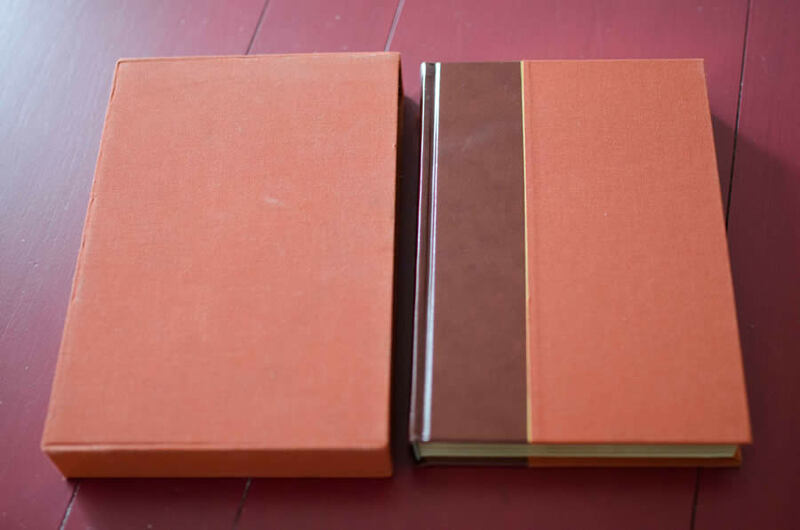 The book is in Near Fine unread condition, the only fault a couple of minor bumps to the edge's of the slipcase. Matched in size and style with the Limitied/Numbered Editions by Harper Collins, of the "Hobbit" and "Lord of the Rings" also offered for sale at this time.